For once, Ole Gunnar Solskjaer doesn’t have much of a decision to make as regards his starting line-up. Eleven absences ahead of the second leg against Paris Saint-Germain have seen to that. It does, however, mean he has more decisions than ever in terms of how to lay the available players out and really use them. The huge challenge of this tie means any defeat will have no bearing on whether Solskjaer will get the United job, something he is now widely expected to already have, but what it could do is so emphatically prove he is the right man for it. It is the great challenge of what has so far been perhaps his greatest virtue in the job. Solskjaer has shown a supreme – and relatively surprising – ability to survey the tactical landscape of a game and pick the right approach, showing some hugely impressive strategic versatility. That will never be required more. 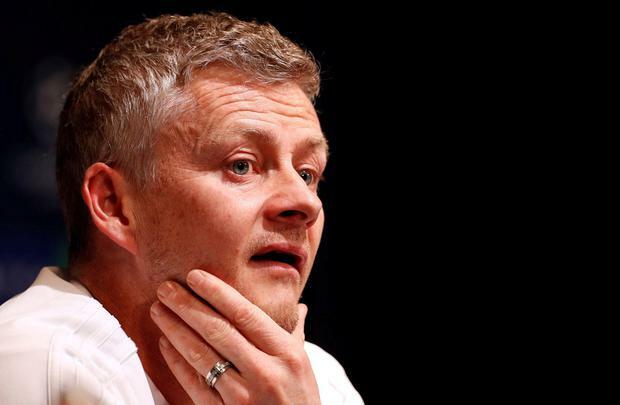 With a makeshift team and almost no extra options, against one of the best attacking sides in Europe, Solskjaer must come up with an approach that actually gets at PSG rather than one that merely holds its place in a game. The biggest complication is then that it is the midfield area where the French side are strongest – as the first leg made so painfully clear – and where United are suffering their biggest absences. An entire first-choice line is gone in Nemanja Matic, Ander Herrera and Paul Pogba, to go with the absences of Juan Mata, Jesse Lingard, Alexis Sanchez and Anthony Martial further forward. So, how does Solskjaer configure the available players for this one? What alchemy can he possibly come up with? One part of the solution is obvious, in the way that situations like this can sometimes be counter-intuitively beneficial, because they limit certain choices and take away any doubt about whether to stick or twice: just cede midfield and work around it. Why waste energy on a battle you can’t possibly win? This is a match where United are going to have to sit deep in defence – to deny PSG’s midfield the ball in areas where they can actually hurt you – and then be ultra-sharp in attack. They will almost have to play a 6-0-4, with Fred and Scott McTominay used merely as players to further block the way for PSG and pick any loose balls. Really, though, Solskjaer is going to have to figure out a way to try and use PSG’s control of the midfield against them. That will mean, on the occasions when the ball breaks for United, very quickly getting it wide and getting it forwards. A further problem in terms of how the game is played – let alone the very situation it has them in – is that PSG’s 2-0 lead means there will be absolutely no onus on them to step out and gift United the space in behind that Marcus Rashford and Romelu Lukaku can revel in. This is where Solskjaer is going to have to really be forensic. This is where the most calculation will be required, and maybe a lot of rehearsed plays. United are going to have to be very precise in how they get at PSG. The positive, however, is that there are definite weaknesses to aim for. It is something similarly counterintuitive about PSG as a whole. As stacked as their squad is, and as easily as they can weather the absences of stars as good as Neymar and Edinson Cavani, it does have stark weak spots. There are odd imbalances to their exceptional squad. Perhaps one of the biggest is actually the player who first damaged United in the first leg, initial goalscorer Presnel Kimpembe. His sloppiness can be exposed by pace, and quick wing play. Solskjaer will have to try and work out a tactic to get Marcus Rashford on him in dangerous positions. There’s also the genuine fecklessness that can afflict PSG, and how a squad of such high talent do have a surprisingly high tendency to switch off. United, as Solskjaer said, will have to be more than fully switched on. They’ll have to be precise in everything they do, and what they actually try. They don’t just need a good plan. They need the perfect plan. It would certainly prove Solskjaer is the perfect choice.